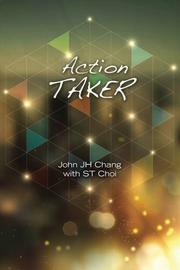 Korean-born entrepreneur Chang, nicknamed “Action Taker,” and Korea Daily reporter Choi team up for this new biography of Chang and an inspirational business guide. Chang’s story takes the form of a lengthy, chapter-based personal essay, one oriented toward business matters, though it doesn’t lack in wit, wisdom or humanity. Starting with a recounting of damaging real estate failures—several of Chang’s commercial properties went into foreclosure in the wake of the devastating LA riots in 1992 and, a few years later, the Northridge earthquake, and he consequently lost all his assets—the narrative takes readers through the highs and lows of Chang’s life. Soon after Chang arrived in the United States to work at a branch of a Korean importing company, his boss was indicted on suspicion of tax evasion, and Chang subsequently lost his job. To provide for his wife and very young children, he was forced to scrape together a living doing menial jobs. He goes into detail about the personal devastation, yet Chang is called “Action Taker” for a reason. The book is a chronicle of his business life, in all its glorious ups and disastrous downs. As the prologue says: “This is not a book of self-aggrandizement….It is the story of a man who learned to overcome countless obstacles, facing the trials of severe adversity and abject poverty.” Chang says he wanted to tell his story to give hope and courage to people chasing their dreams in foreign lands. What could have easily been a dry, flavorless litany of business stories becomes compelling reading material in the hands of co-author Choi, an adept writer. He crafts a clear, direct narrative out of Chang’s life story, and though he remains in the shadows of the book itself, one can see the writerly work at hand in the occasional flares of poeticism and the constant lucidity of thought. Readers need not be exclusively interested in business matters to gain insight from Chang’s story. An elegant writer and an inspiring businessman complement each other perfectly in this impressive business biography.